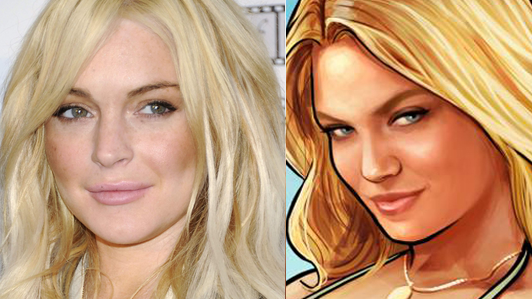 Lindsay Lohan has decided to sue the makers of Grand Theft Auto as the latest installment of the game, GTA 5, used her image to create a character based on her without her permission. Lindsay Lohan’s lawsuit was filed on Wednesday in a court in New York. Game makers Take-Two Interactive Software Inc. and Rockstar Games have released the game in September. The GTA 5 became the fastest-selling entertainment product ever, taking three days to generate $1 billion in revenue. Lindsay Lohan’s case claims a character named Lacey Jonas is an “unequivocal” reference to the Mean Girls star. The actress claims image, voice and styles from her clothing line are depicted in the game. The suit also claims that the game features West Hollywood’s Chateau Marmont hotel, where Lindsay Lohan, 28, used to live. In addition, the character asks for help to avoid paparazzi photographers during the story mode of the game. GTA V, which is set in “a satirical reimagining of modern Southern California”, is the first game in the series that allows players to jump in and out of the lives of three simultaneously playable lead characters.